This high profile development on one of Wollongong’s main thoroughfares involved excavation through high-strength sandstone. Trimming with hydraulic rock saws enabled the work to progress within acceptable noise and vibration criteria levels. Heavily reinforced pier and shotcrete shoring walls provided both temporary support and permanent load bearing walls for the main structure. 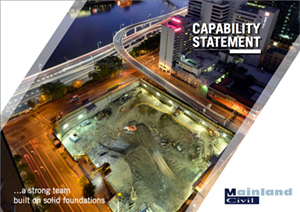 Reinforced concrete foundations and footings completed the Mainland Civil scope of works.